Having a garden means alot of work, working the dirt, tending the plants and the harvest. What one does after the harvest can extend the reach of your garden far into the winter months. 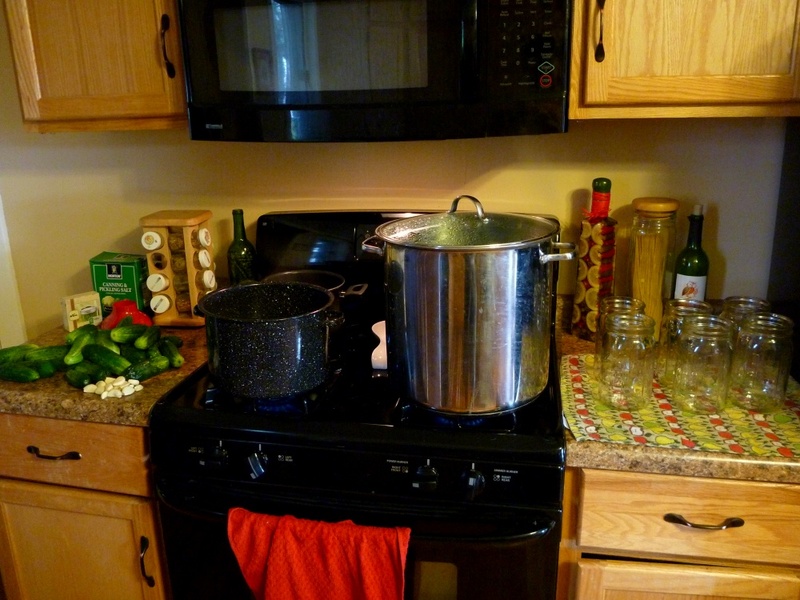 Liz and I have decided that much of what we grow will be canned for use over the colder months. 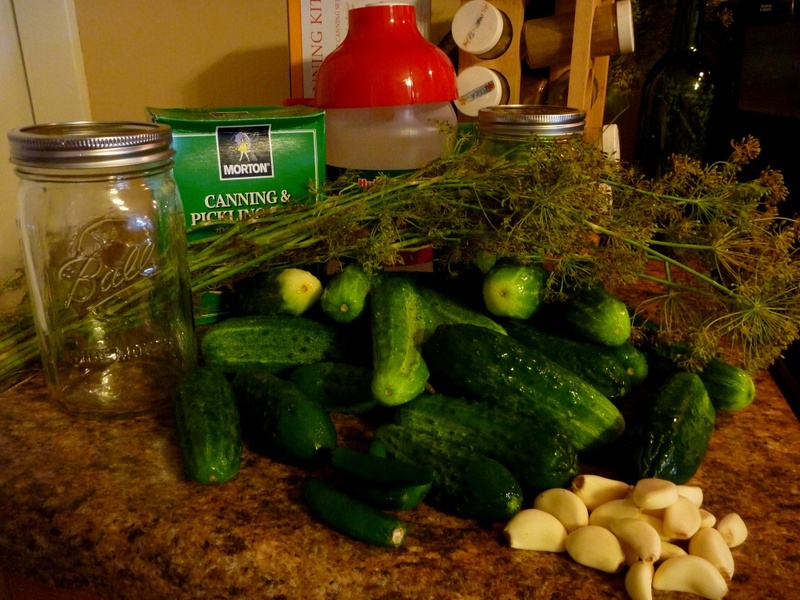 Tending a garden, composting and now canning? The skill set out here is ever increasing. Canning, sweet. 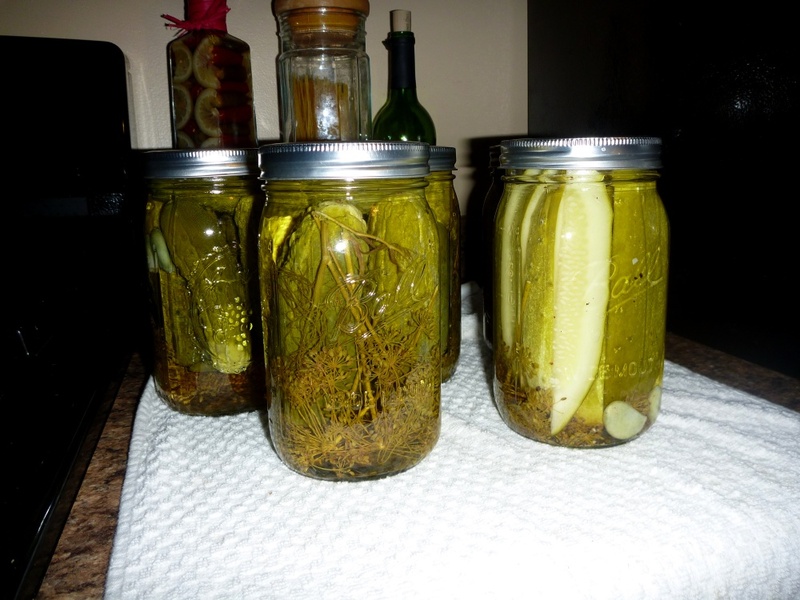 We watched a handful of video’s on youtube.com and discussed ideas with other canners we know and settled on the cold pack method for our first attempt at canning pickles. Timing here is clearly an important element, something we hope to improve on over the next few weeks as we work on more ambitious canning projects. 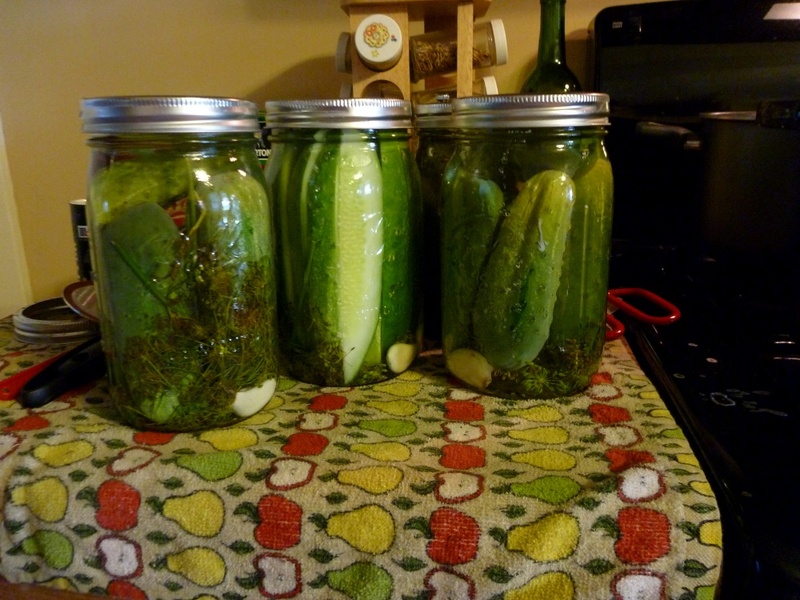 For now these five quarts of pickles gave us a good idea of what canning is all about and the confidence to continue. 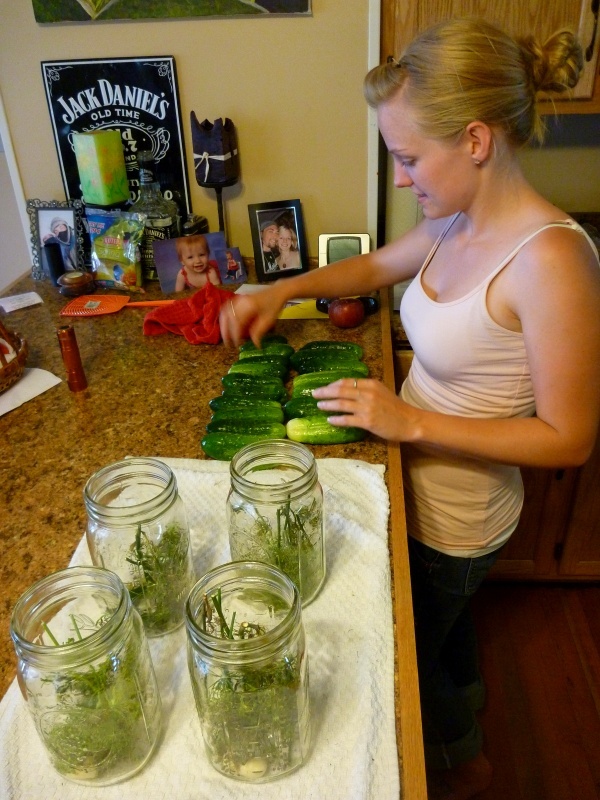 One of these jars will end up with my sister as I’ve never met anyone else who enjoys a good pickle more than her. This entry was posted on August 29, 2011 by mybigredbarn. It was filed under Living and was tagged with Big Red Barn, Canning, Cucumber, DIY, Food Preservation, Good Food, Pickles, Sustainability.